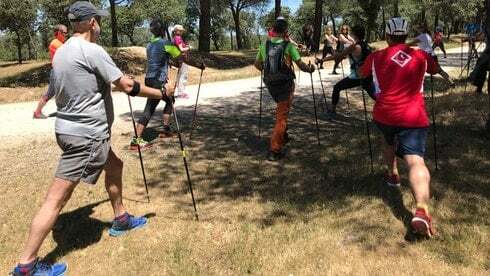 Nordic Walking in Madrid - Nordic Walking Tours in Madrid National Park. Enjoy and Practice Nordic Walking in Madrid. Nordic Walking is a safe, natural, dynamic and suitable-for-all form of a physical activity that trains the body in a holistic, symmetrical and balanced way. During the route you will sightsee scot pine forests, clear water creeks and alpine meadows and impressive granite rock formations. 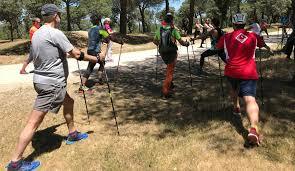 Enjoy and Practice Nordic Walking in Madrid. 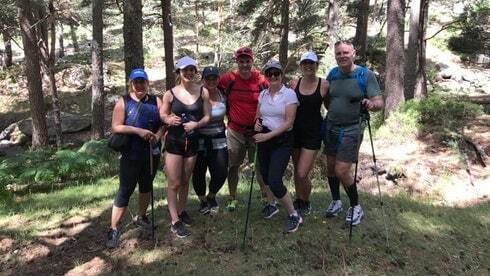 Dreampeaks organizes Nordic Walking Tours In Sierra De Guadarrama National Park, Madrid. Transport Included. 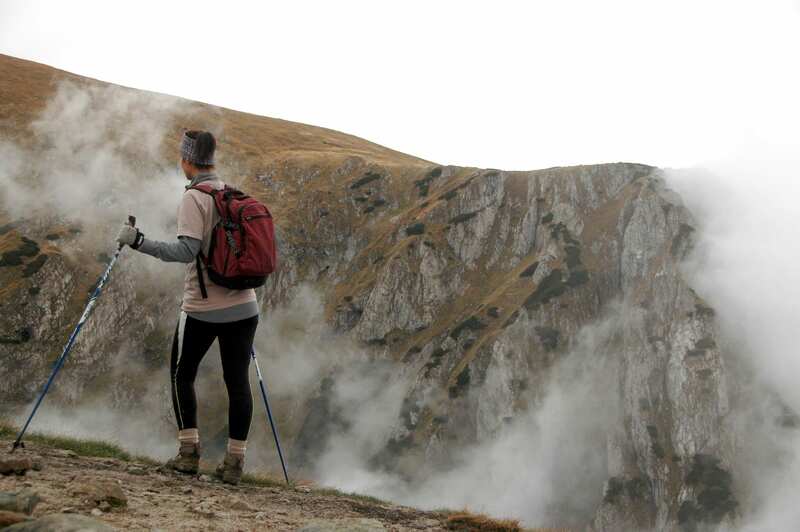 Nordic Walking’s concept was developed on the basis of off-season ski-training activity while using one-piece ski poles. 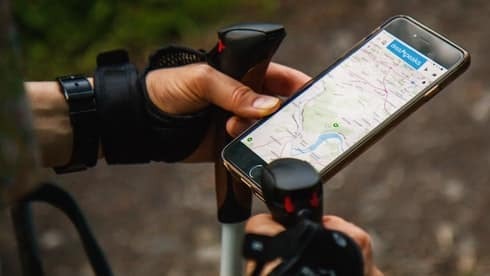 Therefore Nordic Walking is a form of physical activity, where regular, natural walking is enhanced by the addition of the active use of a pair of specially-designed Nordic Walking poles. However, the characteristics of natural, bio-mechanically correct walking and appropriate posture are maintained in all aspects. Technically correct use of poles actively engages the upper body into the act of walking, to propel the body forward. The physical strain is distributed in a balanced and appropriate way various muscle groups of the whole body. In a few words, Nordic Walking is a safe, natural, dynamic, efficient and suitable-for-all form of a physical activity that trains the body in a holistic, symmetrical and balanced way. 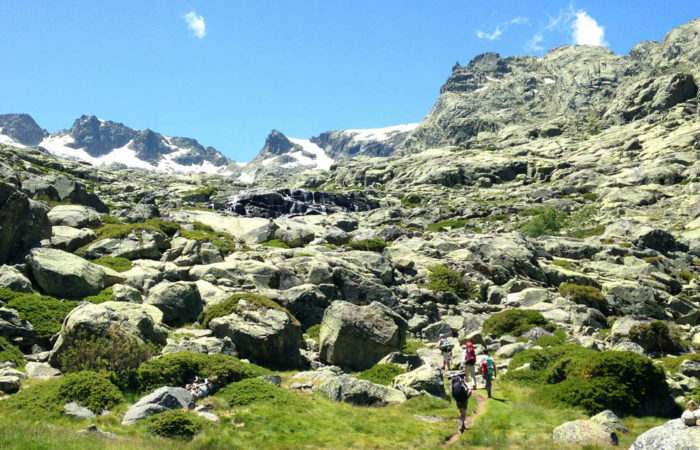 During the route you will sightsee scot pine forests, clear water creeks and alpine meadows, impressive granite rock formations, glacier origin lagoons, mountain wildlife and flora, and superb mountain landscapes. Discover the best nordic walking tours in Madrid with Dreampeaks! A Nordic Walking Instructor (english speaking). 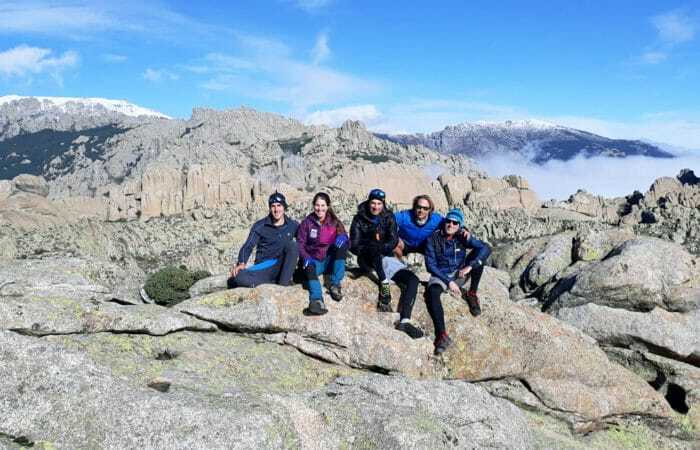 Guided Nordic Walking tour in Sierra de Guadarrama (3-4 hours duration approximately). -Custom nordic walking tour according to your fitness level, age, experience and preferences. -Trail shoes or running shoes. -1L of water and snacks (sandwich, fruit, nuts, energy bars, etc…) per person.